Just like that, December is upon us. How did this happen? Part of the reason it seems to have blindsided me is the fact that it’s still been so warm–any snow that dares fall is gone the next day. 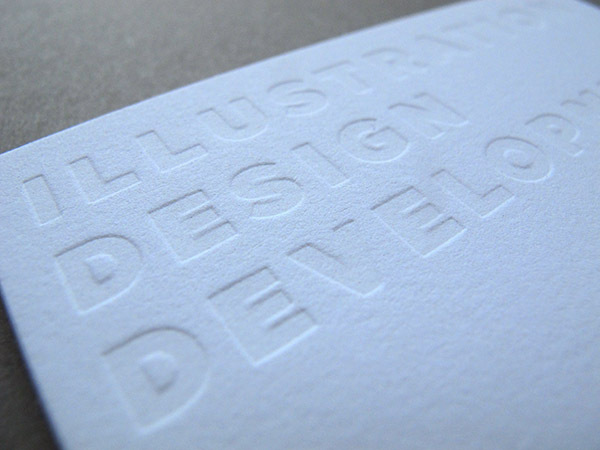 Speaking of blind, how about these business cards with a blind-deboss? 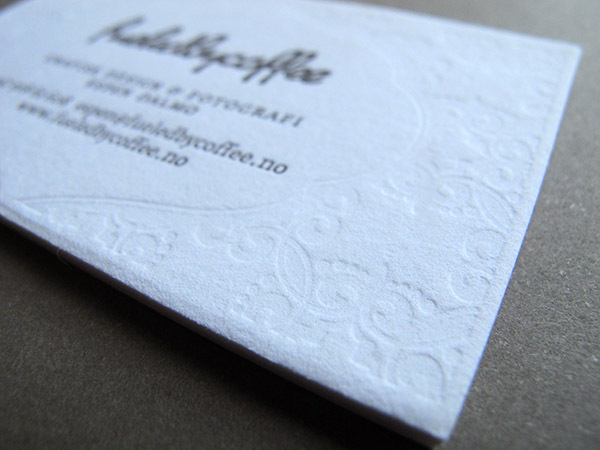 The first one, from Fueled by Coffee design in Norway, shows the textural side of a blind impression. 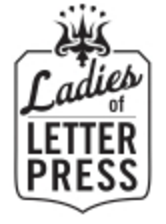 With lots of detail, the delicate scrolls of the pattern lend texture to the card without cluttering it up. 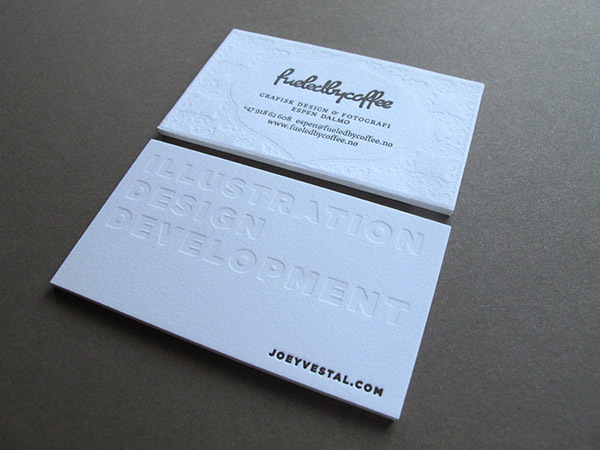 The card for designer Joey Vestal uses the best possible (probably) typeface for a blind-deboss: big, bold, easy to read.